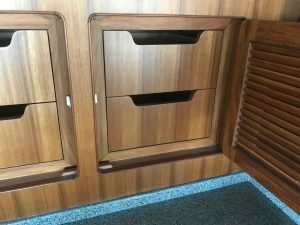 Our highly skilled shipwrights and carpenters are busy with the final interior touch-up of our latest Selene 49 Ocean Yacht. 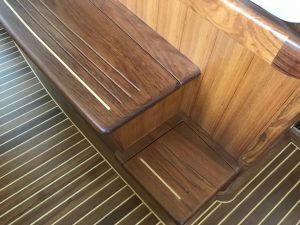 As always, the interior joinery and decoration of a yacht deserves all our attention. Ten years from now, a Selene Yachts will look as beautiful and classic as now… Soon our technicians will complete all the final details and prepare the yacht for shipment to her lucky and proud owner. Every Selene yacht is built from the highest quality materials and components available. 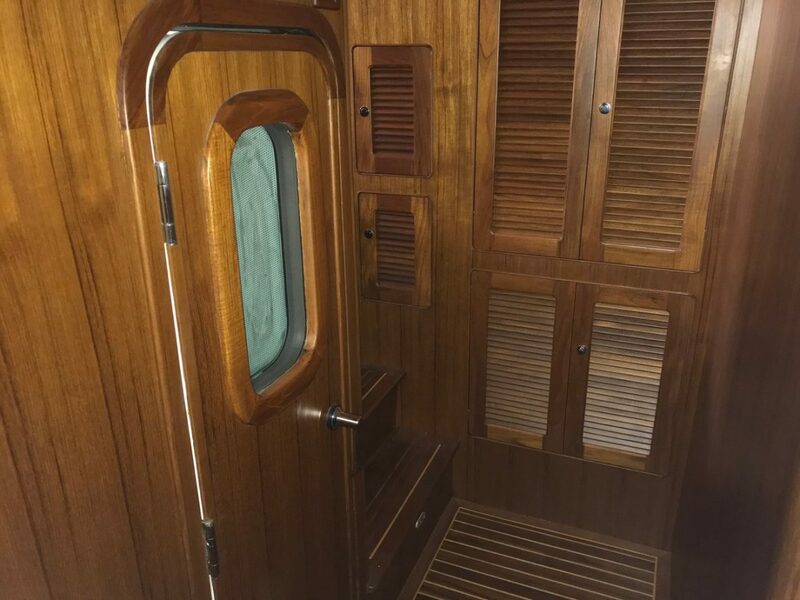 Hulls are constructed using Cook gelcoat and Vinylester resin to retain their beauty and resist moisture absorption which can lead to osmotic blistering. Cymax unidirectional bi-axial fiberglass is used for structural integrity. Gelcoat is applied using a state-of-the-art MVP airless spray system that ensures consistent even film thickness and avoids print through (where the underlying fiberglass shows through the outer layer of gelcoat). Successive layers of fiberglass cloth soaked in resin are applied to the inside of the mold over the gelcoat. The number of layers of cloth and the type of cloth are carefully specified and controlled to produce a consistently strong hull. Once the hull is complete, it is removed from the mold by separating the mold into two halves at the centerline of the hull. 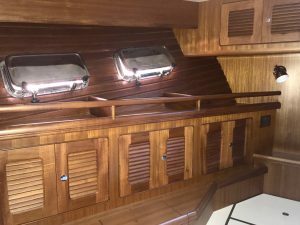 The interior components and machinery are then installed in the completed hull. Where painting is necessary, such as when customers order an optional two-part polyurethane exterior paint color, the completed hull is moved to a new climate and dust-controlled painting shop. Careful control of temperature, humidity, and dust are critical to a quality paint finish. Above the waterline, balsa core is used for light weight, which increases stability, strength, and insulation. Vacuum bagging insures a solid bond between core and laminate materials. While high-quality materials and components are critical, even the best materials can be wasted if manufacturing processes are not consistently controlled. A key part of Selene Yacht’s commitment to quality was achieving ISO 9001 certification. 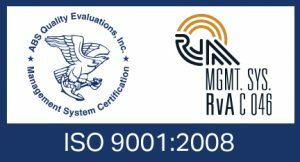 ABS Quality Evaluations, Inc. awarded Selene Yachts ISO 9001 certification in August 2001. ISO 9001 certification means that Selene Yachts’ processes are documented and controlled to ensure consistency, which is an important part of quality. Selene Yachts was the first shipyard in China to achieve ISO 9001 quality management certification.